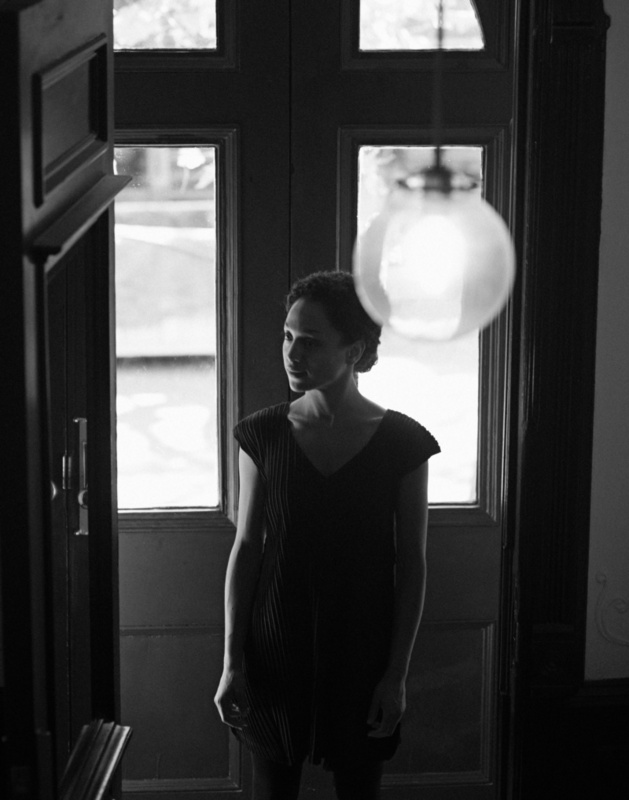 Curator Legacy Russell in her Brooklyn townhouse, 2018. Russell has spoken all over the globe about Glitch Feminism, using a digital manifesto that brings together myriad references including an archival video of RuPaul on The Geraldo Rivera Show stating “we are all born naked and the rest is drag”; Frank Ocean’s “Pink + White”; and a quote from James Baldwin’s “Giovanni’s Room.” Together, the clips affirm Russell’s stance that the body is a social construct that can detach itself to embrace a new reality: Glitch Feminism can be an erratum, a necessary correction. Russell’s pioneering ideas are encapsulated in her forthcoming Verso Books debut simply titled “Glitch Feminism,” which is presented for universal appeal in a zine format with straightforward language. Thelma Golden, the museum’s director and chief curator, offers, “Our mission at the Studio Museum is about thinking deeply about issues of culture and society while looking closely at the visual world, about enabling artists’ creativity while seeking to energize the public. Legacy has an extraordinary record of achievements in all those areas. We couldn’t be more excited to welcome her.” Russell is a former downtown kid, who is Brooklyn-based, and will now be creating culture in Harlem. Her New York cultivated roots have prepared her for this role.